Emilia Clark, 32, has revealed that she had an aneurysm after finishing filming for the first season of Game of Thrones. 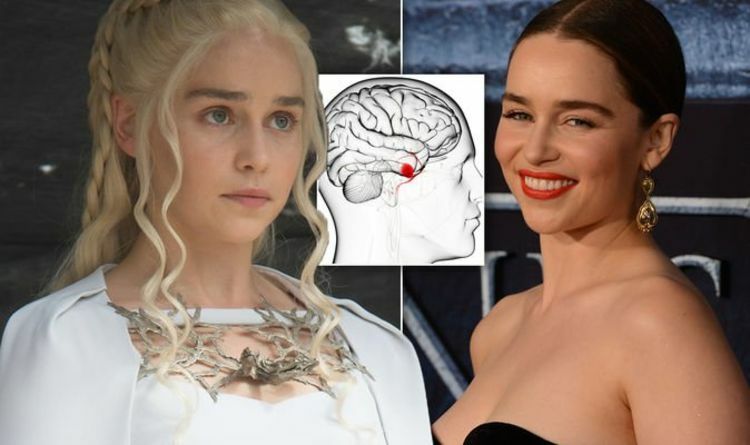 The actress, who plays ‘the Mother of Dragons’ Daenerys Targaryen in the HBO series, felt a bad headache coming on, before being violently ill and having sharp, shooting pains, she said. She was throwing up bile, before falling into “a fog of unconsciousness”, she revealed. After receiving brain surgery, she used morphine to keep the pain at bay, but a number of times thought she was going to die. “From an ambulance, I was wheeled on a gurney into a corridor filled with the smell of disinfectant and the noises of people in distress,” Clark wrote in The New Yorker. “Because no one knew what was wrong with me, the doctors and nurses could not give me any drugs to ease the pain. An aneurysm is a bulge of blood vessels caused by a weakness in a blood vessel wall, said the NHS. If the aneurysm ruptures, it leads to an SAH – an extremely serious condition, it said – where bleeding in the brain can cause extensive brain damage. “As I later learned, about a third of SAH patients die immediately or soon thereafter,” said Clark. Even after surgery, the actress often felt woozy and weak. During a publicity tour, before filming started for Game of Thrones season 2, Clark struggled to keep up, and often “sipped on morphine between interviews”. “On the set, I didn’t miss a beat, but I struggled,” she said. “Season 2 would be my worst. Clark subsequently had a second brain surgery in 2013, after she had another aneurysm. This time the recovery was even more painful, and parts of her skull were replaced with titanium, she said. But, she’s now at 100 per cent, and has healed beyond her “unreasonable hopes”. An unruptured brain aneurysm may occasionally cause symptoms if they’re particularly large, said the NHS. These can include difficulty speaking, headaches, loss of balance, and some visual disturbances. But, if the aneurysm ruptures, it usually starts with an agonising headache – similar to being hit on the head. It developing into a blinding pain, that’s unlikely to be similar ever felt before, it said. Other symptoms include a sensitivity to light, feeling or being sick, seizures, sudden confusion, and a weakness on one side of the body. A ruptured aneurysm is a medical emergency, and you should call 999 straight away and ask for an ambulance. Disneyland Is Teasing Big Changes For Spider-Man In Upcoming Attraction Star Wars HUGE Hayden Christensen Anakin Darth Vader news: Is he BACK in Episode IX?